There seems to be some misinformation being circulated about where we are in the F35 basing process by the opponents of the F35. 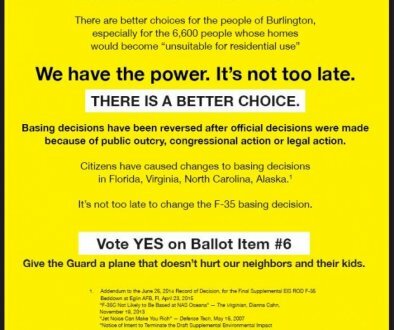 I also want to make a few comments about the non-binding ballot question being presented to the voters of Burlington. There is no alternative mission being planned for the VT Air National Guard.